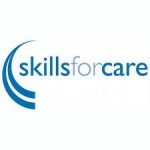 Very interesting talk from Lindsey today from Skills for Care in relation to the Care Act. The Care Act 2014 is due to come into force in a week or so and it was great to have the opportunity to look at some of the potential impacts. The Act’s focus on the wellbeing of the individual was of particular interest to me as a training provider as this is a strong theme in many of the taught sessions – Person centred practice and holistic approaches to care at the centre of it all!